In 1992, Congress passed the Clean Vessel Act to help reduce pollution from vessel sewage discharges into U.S. waters. 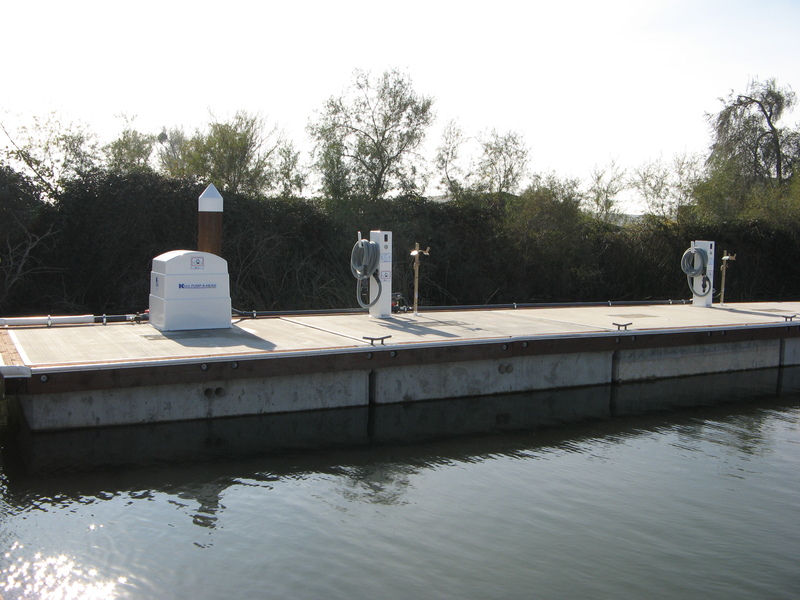 The Grant Program established by the Act will help fund the construction, renovation, operation, and maintenance of pumpout and dump stations to service pleasure craft. As part of its commitment to provide clean, safe, and enjoyable recreational boating in California, DBW is serving as the State Grant coordinator. DBW also provides boater education programs to promote public awareness about boat sewage and its proper disposal. The Clean Vessel Act grant funds are available to both the public and private sector. This includes all local governmental entities and private businesses that own and operate boating facilities that are open to the general public. The Grant will reimburse recipients for up to 75% of the installed cost of pumpout and dump stations. This includes the cost of new equipment, or the renovation of existing equipment, as well as necessary pumps, piping, lift stations, on-site holding tanks, pier or dock modifications, signs, permits and other miscellaneous equipment needed for a complete and efficient station. The Grant will not pay for the construction or renovation of onshore restroom facilities, or sewage treatment plants, including septic tanks, leach fields, private and municipal treatment plants, and other special treatment devices. As a grant recipient you are responsible for at least 25% of the installed costs of the pumpout and dump station facilities provided for under the grant program. This 25% match can be cash, the fair market value of any labor or materials provided, or a combination thereof. Can I be reimbursed for a pumpout I've already installed? No. Costs incurred prior to the effective date of a grant agreement are not allowable. Can I charge for use of the pumpout or dump station? Yes. While the State encourages the free use of facilities constructed under this program, a maximum user fee of $5 can be charged. However, during the grant application evaluation process, a higher priority will be given to applicants who propose free use or a lower-than-maximum user fee. What are my responsibilities under this program? 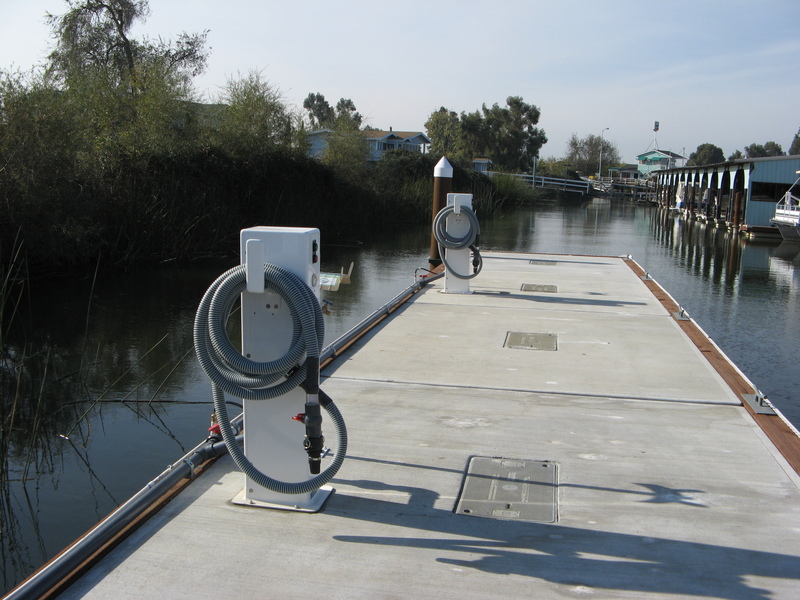 All recreational vessels must have access to the pumpout and dump stations funded under this grant program. The grant recipient shall guarantee that the facilities will be operated, maintained, and be accessible to all recreation vessels for the full period of their useful life. A sign depicting the national pumpout symbol shall be installed so as to be clearly visible to boaters. An informational sign shall be installed at pumpout and dump stations. The sign information should specify fees, restrictions, hours of operation, operating instructions, and a contact name and telephone number to call if the facility is inoperable. The sign shall also acknowledge that the facility was constructed or improved with funds from the Sport Fish Restoration Program, through DBW. Who do I contact for a grant application? For additional information contact Margaret Fowler at Margaret.Fowler@parks.ca.gov or (916) 327-1818. How do I appeal the denial of a permit, license, or application?